Smell that? It’s a hop shortage! According to the BBC, the surge of craft beer in the U.S. and abroad is leading to a shortage of hops, specifically aromatic varieties. The high-yield hops used for bittering, alpha rich hops, are not as in vogue (that’s what the kids say these days, right?) as the citrusy, beta heavy ones, which you need more of to reach the appropriate IBU levels. The main take away: hoppy craft beers are hoppy, thus use more hops (surprise!) and smaller brewers are going to be hit hardest for 2014. For this reason and just because we’ve wanted to do it, my awesome sister-in-law is growing some hops in her backyard. We are starting with Centennial, Chinook, Willamette and a pocket full of rainbows and wide-eyed optimism. Having never tried to grow hops, we hope to have at least a tiny harvest by the end of summer. I don’t know if the yield will even be enough to bitter a batch of beer, but it’s an exciting step towards a beery future. I’m sure this experience will be full of frustration and fraught with more complications then we ever thought possible. Just like homebrewing! Bring it on. Who, What, Why: Is the craft beer craze going to cause a hops shortage? 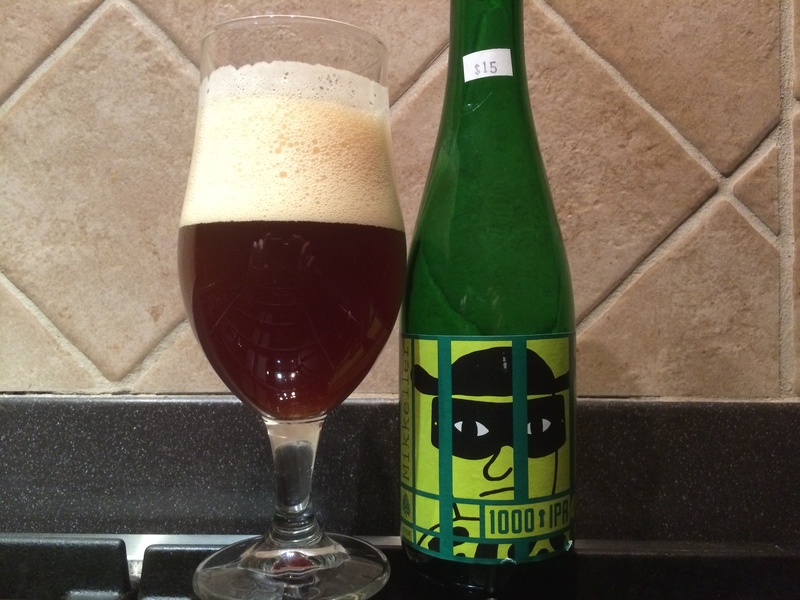 Quick Take: While lacking complexity, Mikkeller’s 1000 IBU beer is much more refined than I anticipated. The 1000 IBU aspect is a bit of a gimmick and the cost is a little steep, but the follow through on a quality, mega-hopped beer makes this one worth trying. You have to be in an IPA state of mind and want the dirtiest, most lingering hops bitter finishes I have come across yet, but even IPA interested people can find something to like here.